Why Tanzanite price is so high and keep increasing? It is only natural that a semi-precious stone that is a brilliant blue, poly chromatic – a different color from different angles (blue, purple, grey even), a thousand times scarcer than diamonds and available only in a few mile radius in the whole world has a constantly increasing price graph. 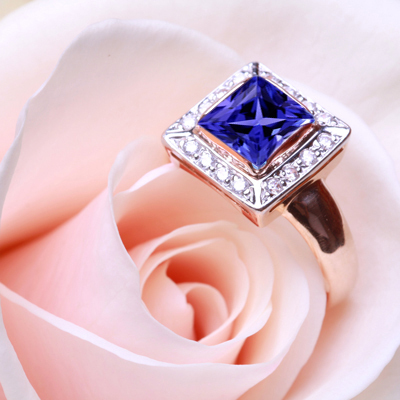 Tanzanite Jewelry prices have never known to fall, only rise in leaps and bounds, parallel to its popularity and demand in the United States as well as the rest of the world. Tanzanite is rare, and by sheer logic of tanzanite grading and tanzanite compositions, it is highly improbable that its price will ever greatly drop. Let us look at the facts before us. We know that the only source of this beautiful stone known to man exist in Tanzania and nowhere else. We are also aware that due to Tiffany and Co.’s discovery and monopoly, these mines have been in constant use since the 1970’s, the demand only increasing as it became popular, established itself as a competitor to sapphire, and had its name added to the birthstone list under December. Not only that, but geologists have done extensive research in these mines, analyzing the type of rock it is, tanzanite compositions and the history of that geographical area to conclude that is this type of Zoisite requires very specific conditions and the chances of another such occurrence in the past or future anywhere on this earth is highly improbable. Next comes into play tanzanite grading – its cut, clarity, color and carat. Now imagine, if the stone itself is so rare that only a few mines exist globally, how sporadic it must be for the miner to find a gem on relatively high grade! While the cut of the stone is in the hands of the jeweler, the other three factors are entirely up to Mother Nature. Digging out a tanzanite from the rock which is the right intensity of blue and purple, contains no inclusions or impurities and if still of a considerable size is a miracle of its own. To further influence these tanzanite prices is the fact that it lies reasonably low on the Moh scale – a scale to measure the hardness of a stone. This means that it breaks or chips under pressure, making it that much more difficult to mine, cut, facet and set into metal. Still wondering why the high tanzanite prices? When you buy a piece of jewelry with a tanzanite gem – be its small carat studs, a ring for a special occasion like an engagement or a wedding, or a pendant for your jewelry collection – you never compromise on quality. But given the uncommonness of tanzanite and its rampant demand worldwide as one of the most revered gems of all time that perfectly cut and colored tanzanite that you buy is automatically worth hundreds of dollars! 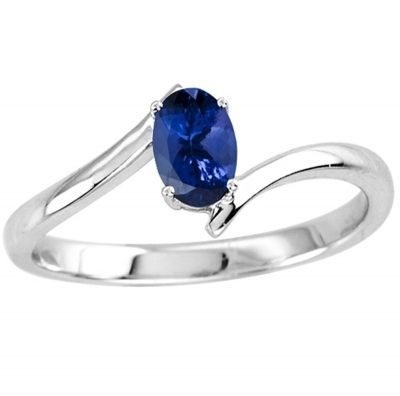 There is no doubt that tanzanite price graphs are a line that seems to only go up and never come down, but when shopping for tanzanite jewelry remember that only a maximum of one decade capacity is left in those mines and not only will those blues look gorgeous with your outfits, but tanzanite is also an ideal investment option.